School participants will learn to improve the efficiency of their research codes, and to parallelize them. 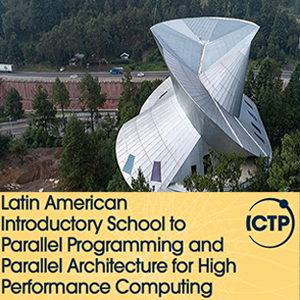 Lectures on a selection of technical aspects of modern HPC hardware will be mixed with introductions to widely used parallel programming tools and libraries. The hands-on sessions will allow participants to practice on small example problems of general scientific interest. Example topics will cover numerical methods and parallel strategies, as well as data management. The programme specifically addresses the needs of scientists using, writing, or modifying HPC applications, and will not assume, require, or provide significant IT and HPC resource management skills. • Accommodation and meals are covered at the campus for all selected participants. • The School is organized in collaboration with the CADING-Red Group.